← Got a Plan…To Give? Looking at that list of options, we’re all hoping that #2 applies to us. While it’s great to see that refund check coming back to us in the mail (or directly into our bank account if we use direct deposit), I’m here to rain on your parade (but just a little bit). If you want to know why that refund isn’t all good news, read on. If ignorance is bliss, thanks for being here and we’ll see you next time. A refund works the same way, except that it means that you’ve asked the government to taken too much money out of your earnings during the year, and they’ve held onto it when it really should be yours to spend or save as you see fit. Your tax refund, therefore, is essentially a request to the government for it to send your money back to you. You may see things coming together now, but essentially a tax refund is money that you lent the government all year, and they’re not going to pay you any interest on that. So if you get a $3,000 refund, that’s great, but it also means you were $250 short every month on your income. Therefore, the real goal with taxes is to neither owe anything nor get anything back. Some people like getting refunds as a “forced savings plan”, but there’s better ways to save and budget than letting the government get all the interest you could be earning, not to mention the flexibility you could have. So what if you’re getting large refund every year? All you need to do is go to your employer and ask to fill out a new W-4. This form lets the government know about your tax situation so they know how much to take out of your taxes. Sometimes, as life situations change (and our W-4’s don’t), the gaps of what we owe and what we’ve paid start to widen, and we end up with large refunds. You can change your W-4 anytime you want, so there’s no time like the present! If you’re having trouble getting someone to give you a W-4, use this link (http://www.irs.gov/pub/irs-pdf/fw4.pdf) to get one downloaded from the IRS web site. 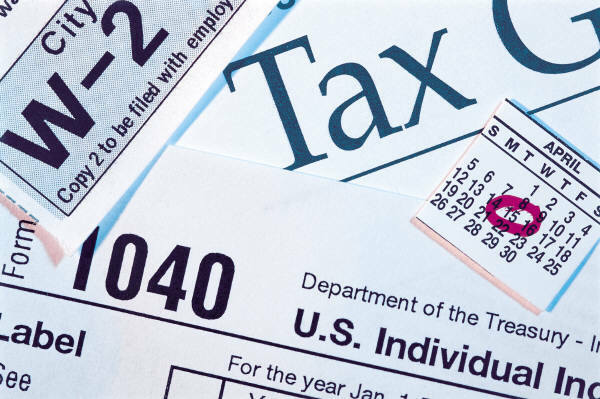 Most of the time, you’ll also want to find the same kind of form for your state taxes. If you insist on continuing to get a large refund every year, please read the entire article again as punishment. Then, use your refund to make sure your emergency savings are adequate, or to meet other financial goals. Resist the temptation to spend it all on something you may not really need and then wish you had it when you have a financial emergency later in the year. And don’t forget to tithe on your refund! I’m loving the blog, Nick! Budgeting, giving, and investing are also passions of mine, and it is great to see you sharing your knowledge with others. Keep it up! I absolutely agree with you! I have mine sorted so that I tend to owe, but it’s tiny amounts…one year it was $16 to NC Dept of Rev. 🙂 Most of my friends think I’m nuts, but I try to explain that they are letting the government use their money all year, interest-free, when they could be earning interest on it for themselves. GREAT article.